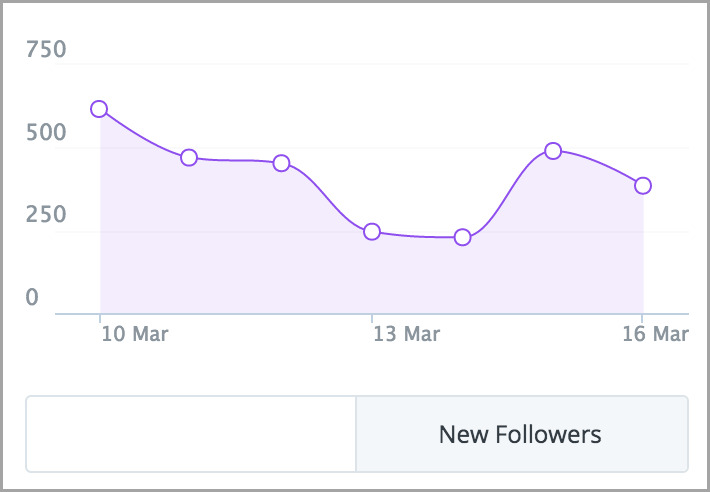 As much as we may wish our Instagram follower growth showed an upward trend, it’s probably more like a rocky mountain landscape with peaks and valleys. Fluctuations in your follower count are totally normal and often a result of the ‘follow/unfollow’ game that many accounts foolishly choose to play. Here’s how it works: an individual follows you, waits until you follow back, then unfollows you. The unfollow can happen seconds, days, and sometimes weeks later. While this strategy may work for some businesses to grow their audience, those followers probably won’t turn into customers. But don’t waste time feeling offended – a lot of these accounts that unfollow are actually bots (up to 24 million, actually! ).